Discussion in 'Streetwear and Denim' started by besbesbes, Jan 20, 2019. 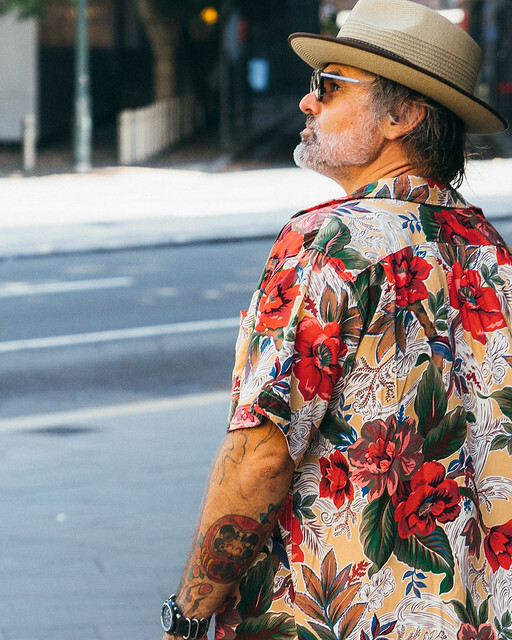 The Hawaiian shirt really pops outside in the sunlight. Its one of my favourite pieces this season. It does seem to fit bigger than last seasons Camps shirts anyone else found this? The patchwork Bedfords are also killer. Damn I love it even more now. it's def a great shirt. i keep coming back to it and everytime my resistance to buy it falls a little. I think the Hawaiian is the best floral this season. The popover bd shirts fit really well this season. Last summer, they seemed to be really long. This year they are a bit shorter and slimmer in the body. That's good to hear - I got an oxford popover last year and had to get it shortened and slimmed. Saw some of the summer Barbour collab today. Wasn’t into the two styles they had on display (overhead field parka and very short zip parka) but the material was lovely. Sort of a stiff ventile cotton or something, not waxy at all, and looked a little washed out. 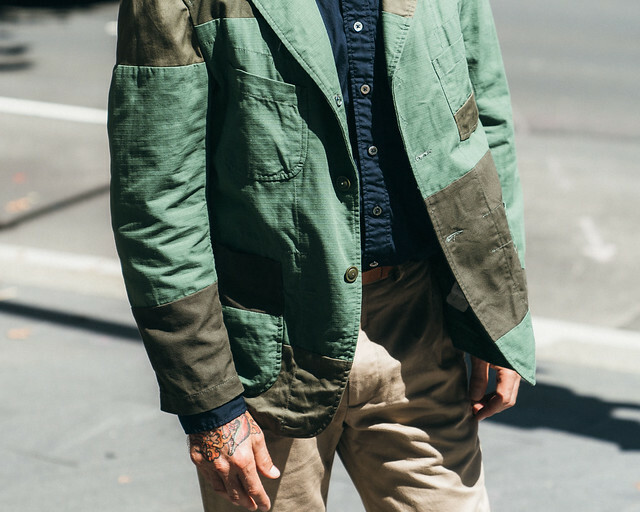 Very military/rugged. from what i've seen on IG and around, it seems like all of the prices (for at least the suiting) are way from what they used to be. does that seem right? Andover jackets at just under the $600 range seems pretty disappointing. No Baker Jackets this spring?